Spontaneous coronary artery dissection (SCAD) is a rare illness often misdiagnosed, that accounts for up to 4% of cases of acute coronary syndrome in young women. Interestingly, SCAD is the most common cause of myocardial infarction related to pregnancy. Here, we present a case of a 35-year old postpartum patient who presented in cardiac arrest due to ventricular fibrillation and was found to have a ST-segment elevation myocardial infarction. Cardiac catheterization revealed significant coronary vasospasm and dissection of the right circumflex and distal left anterior descending artery. We discuss clinical diagnosis and management of spontaneous coronary dissection along with literature review. Rosamond W, Flegal K, Furie K, et al. Heart disease and stroke statistics-2008 update: a report from the American Heart Association Statistics Committee and Stroke Statistics Subcommittee. Circulation 2008; 117: e25-146. Hayes SN, Kim ESH, Saw J, et al. Spontaneous Coronary Artery Dissection: Current State of the Science: A Scientific Statement From the American Heart Association. Circulation. 2018; 137(19): e523-e557. Ito H, Taylor L, Bowman M, Fry ET, Hermiller JB, Van Tassel JW. Presentation and therapy of spontaneous coronary artery dissection and comparisons of postpartum versus nonpostpartum cases. Am J Cardiol. 2011 Jun 1; 107(11): 1590-6. Tweet MS, Hayes SN, Pitta SR, Simari RD, Lerman A, Lennon RJ, Gersh BJ, Khambatta S, Best PJ, Rihal CS, Gulati R. Clinical features, management, and prognosis of spontaneous coronary artery dissection. Circulation. 2012; 126: 579-588. Puri R, Leong DP, Nicholls SJ, Liew GY, Nelson AJ, Carbone A, Copus B. et al. Coronary artery wall shear stress is associated with endothelial dysfunction and expansive arterial remodelling in patients with coronary artery disease. EuroIntervention. 2015; 10(12): 1440-1448. 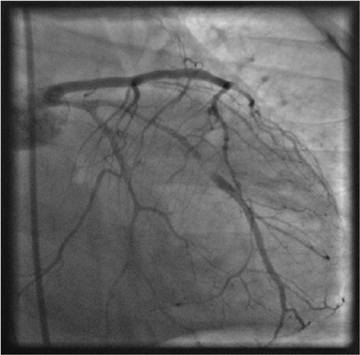 Sheikh AS, O’Sullivan M. Pregnancy-related Spontaneous Coronary Artery Dissection: Two Case Reports and a Comprehensive Review of Literature. Heart Views: The Official Journal of the Gulf Heart Association. 2012; 13(2): 53-65. Saw J. Coronary angiogram classification of spontaneous coronary artery dissection. Catheter Cardiovasc Interv. 2014; 84: 1115-1122. Saw J, Aymong E, Sedlak T, Buller CE, Starovoytov A, Ricci D, Robinson S, Vuurmans T, Gao M, Humphries K, Mancini GB. Spontaneous coronary artery dissection: association with predisposing arteriopathies and precipitating stressors and cardiovascular outcomes. Circ Cardiovasc Interv. 2014; 7: 645-655.